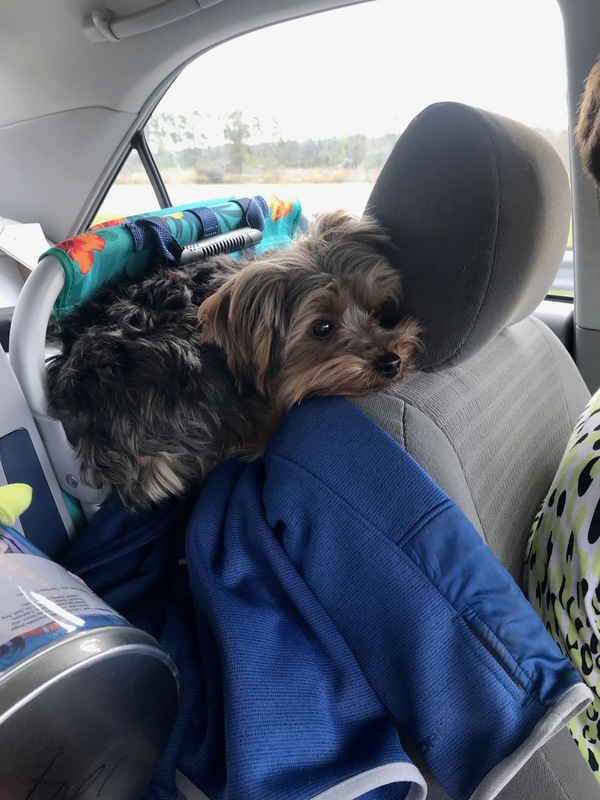 Finnegan Thinking: "Are We There Yet?" Day 2 of the trip to Florida dawned with us heading our from Hilton Head Island headed for Tequesta, Florida. Call it an early Spring get away. For some reason, day 2 of the trip seemed longer than day 1. even though it was three hours shorter. We had the constant thought on our minds of, "Are we there, yet?" But we were not there. I was a full six hour travel day and we started a bit later. The day started by quickly crossing into Georgia from South Carolina and following I-95 south. 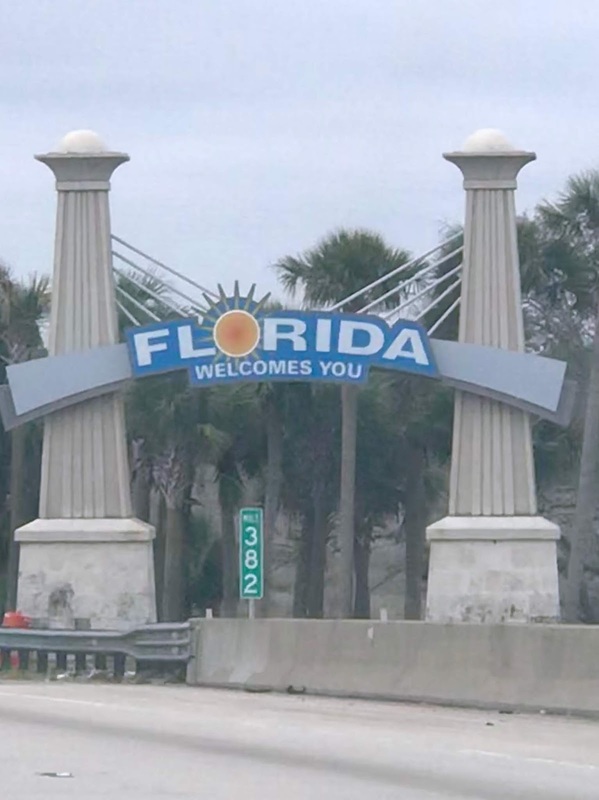 After about an hour and a half in Georgia, it was onto Florida. 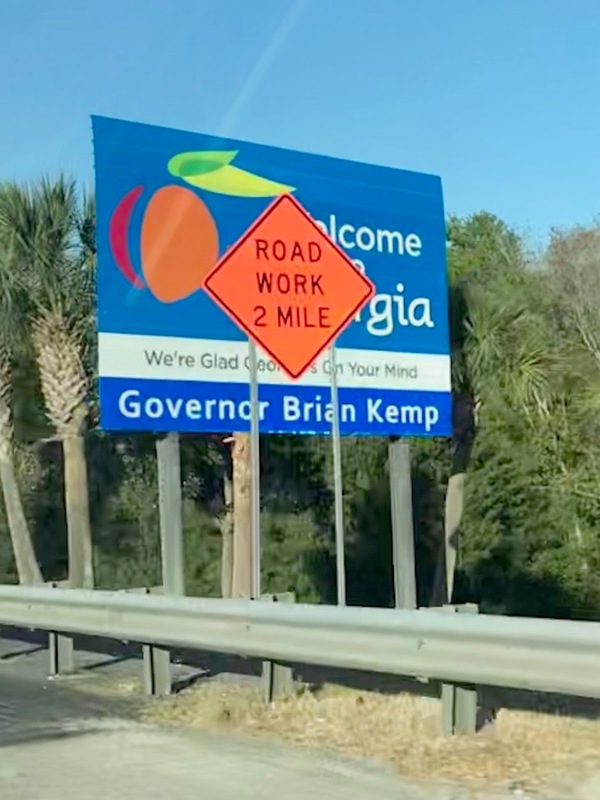 Fortunately, the road work in Georgia was not too significant. 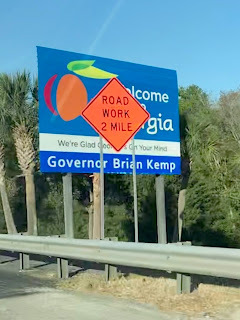 I wonder who decided to put the road work sign right in front of the "Welcome to Georgia" sign? The hardest part of the trip is Florida. 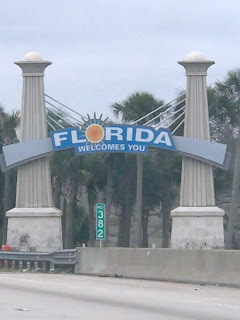 While cruising through the other states takes just a couple hours, Florida goes on forever--almost four hours. "Are we there, yet" becomes a real statement. We finally pulled into Tequesta about 2:30 PM and put an exclamation point on the trip. I am very happy that I will be flying home as we are leaving the car at our new home--which we settle on today. The walk through yesterday went well with only some minor things that are nothing more than annoyances as the sellers did not fully uphold to the agreement on which items which were to be left behind. Minor stuff, but annoyances. The place, however, is clean and we actually wound up with a brand spanking new, never used, dishwasher because the one that was there broke as they were clearing out. There is a silver lining in almost every rain cloud.